Slight change of plan, we have backtracked to Malaysia. This is the first time we have revisited a country on our travels and to be honest its lucky that we don't require a visa to revisit. Our original plan was to try and catch a ferry from Singapore to Bantam Island and then find another ferry to Jakarta. The problem with this route is that the ferry to Jakarta is incredible infrequent and as we only have a maximum of two months in Indonesia (with a 30 day extension) it just wasn't worth the risk of having to stay put for a few weeks waiting for a boat. After a little bit of searching we found a regular ferry service exists from Malacca, Malaysia to Dumai, Sumatra. 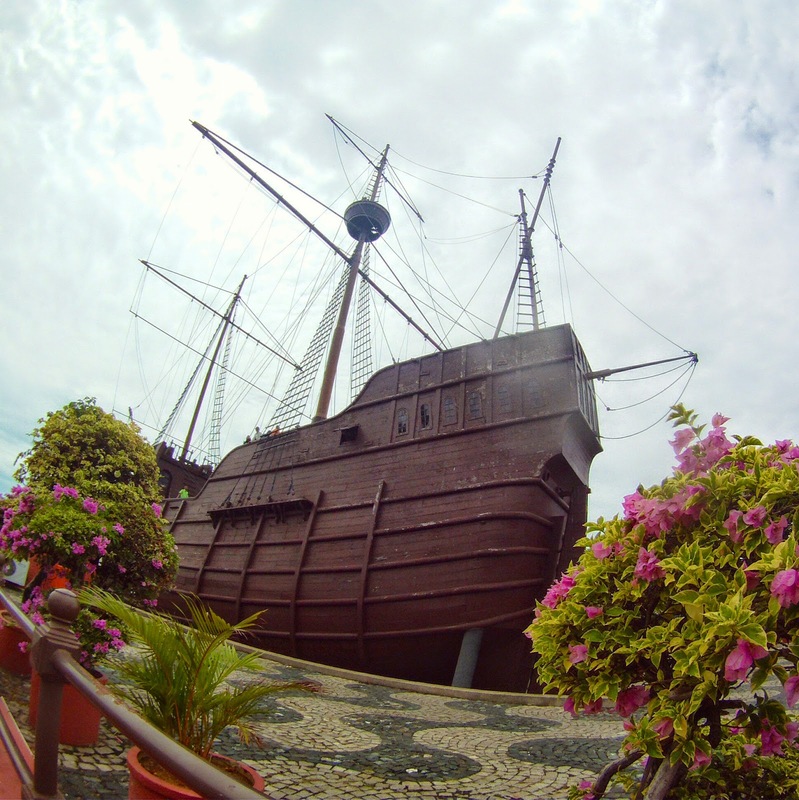 The boat would be cheaper and more punctual with daily ferries leaving Malacca at 10:00am. So it ticked all the boxes and would allow us to visit a new town. 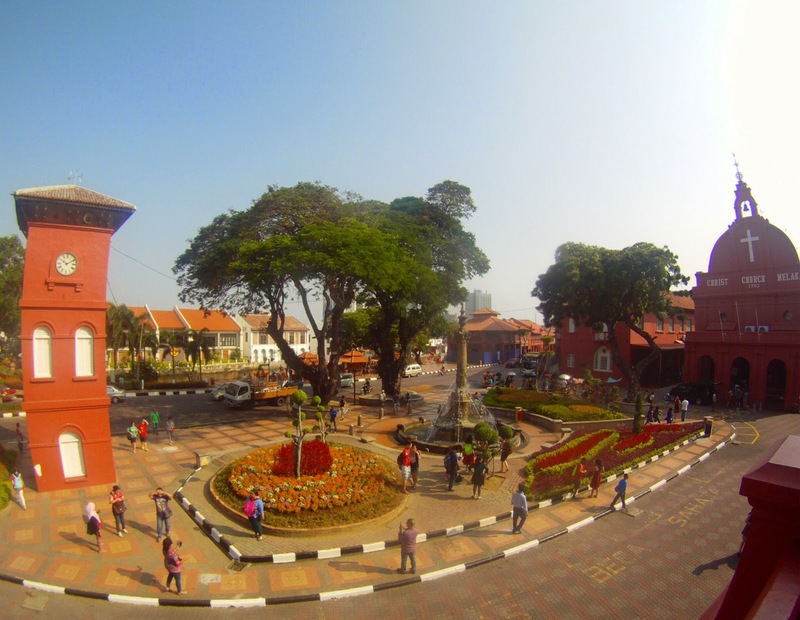 Malacca is a popular destination amongst travelers of the Malay peninsula. Its location between Singapore and Kuala Lumpur make it a great place to break up journeys between the two capitals and also allows a little rest bite from the city hustle and bustle. 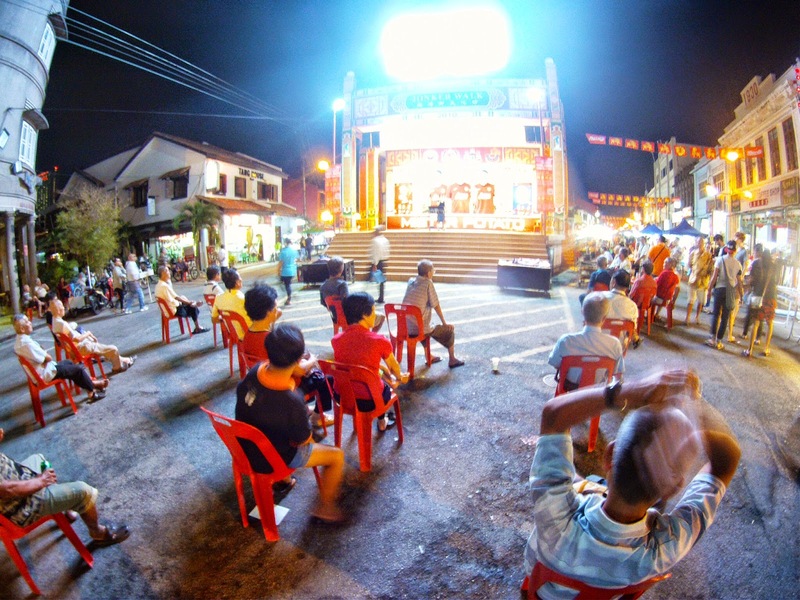 We stayed at Jalan Jalan and Layan Layan across a seven day period to allow us to enjoy the Chinese New Year celebrations. As the names suggest the guesthouses are under the same ownership and are both located on the same old town street right in the heart of the historic and cultural centre. 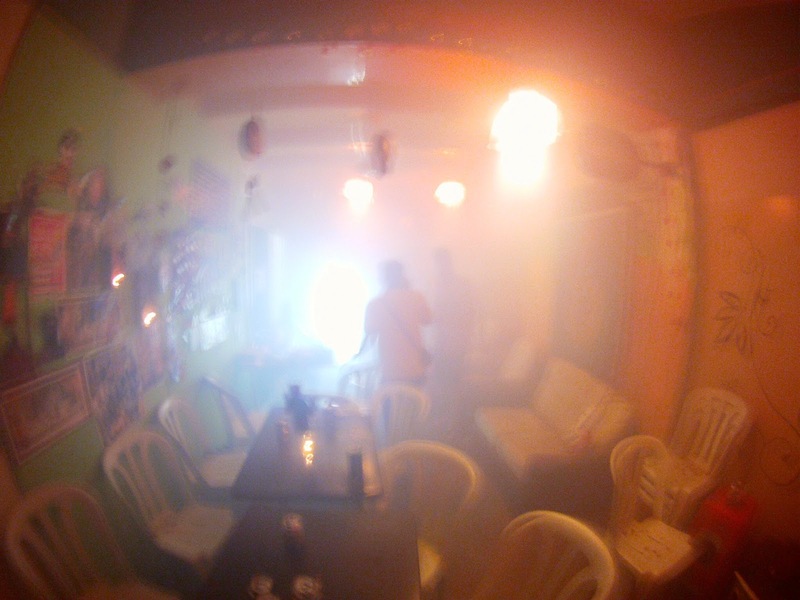 Both places are a real find with budget backpacker prices, great rooms, friendly atmosphere and helpful staff. 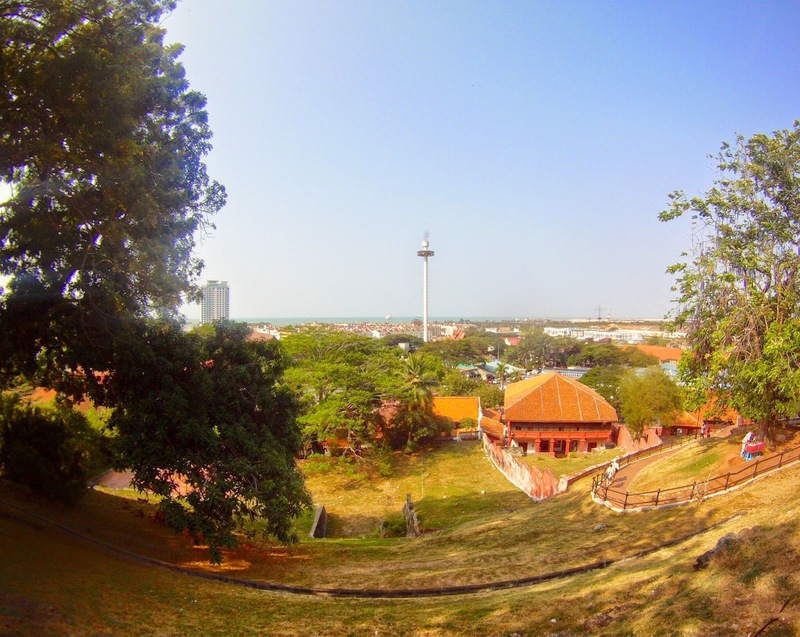 Like Penang in the north Malacca is a historic harbor town and trading hub which made it a target for land grabbing exploratory forces from the western colonies. As a result the town has been occupied by the Portugese, Dutch and British with each country leaving its mark. The Portuguese built a fortress, the Dutch built churches and important government administration buildings and the British did a good job at blowing up the original fortress walls. 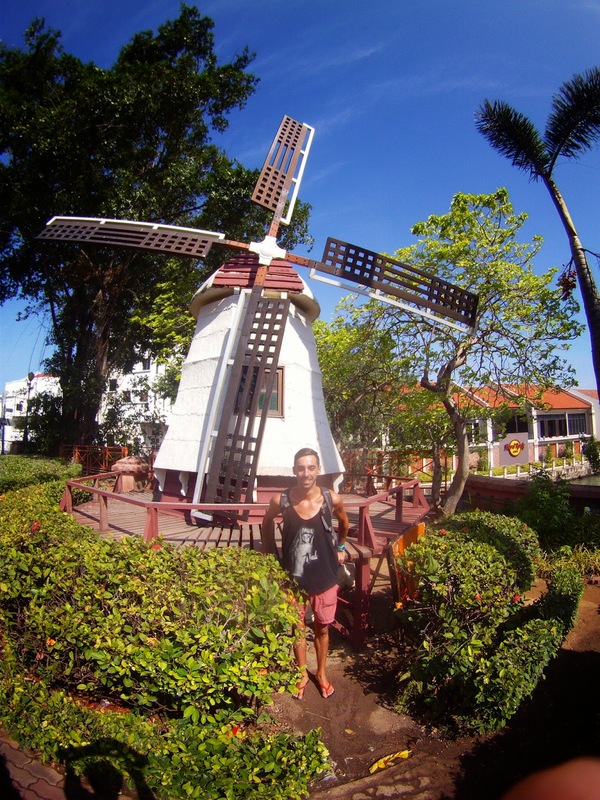 Today Malacca still retains a European feel with Dutch buildings that resemble the tall, thin and long structures familiar by the canals of Amsterdam (except you don't find monitor lizards in the canals of Amsterdam) and a higher protestant population than elsewhere in the country. As a nice touch most of the sights in the old town are free including the architecture museum, museum of Islam and independence museum. The daily free walking tour from the tourist information centre is a great way to get your bearings around the maze of narrow streets. ﻿﻿The bargains continue when looking for a bite to eat and the guys at the hostel were always keen to meet up for an evening meal at one of the great banana leaf restaurants or somewhere a little bit different. We tried stingray for the first time in a small street side shack just outside the old town. A little chewy but not nearly as bony as you would think. 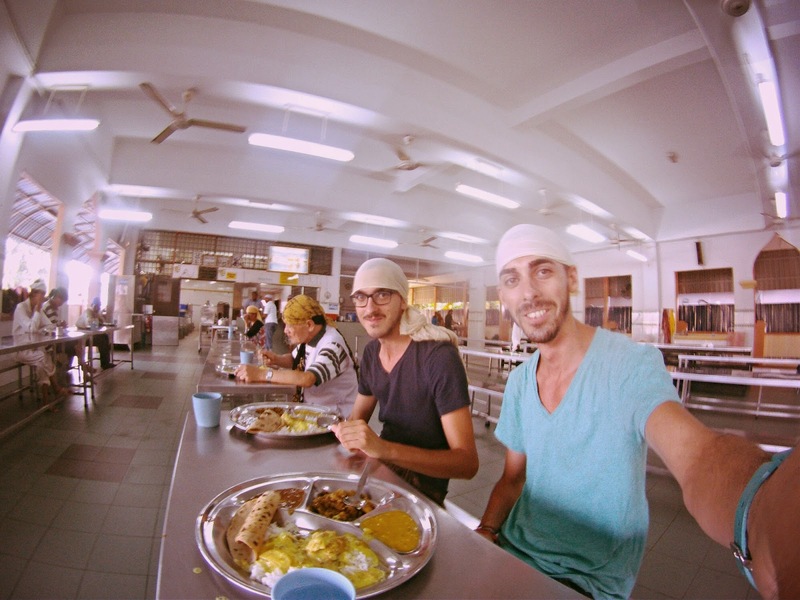 The best place for food in town had to be at the Gurdwara (Sikh temple) and for a small donation the friendly chaps at the temple put on a full spread of great grub. 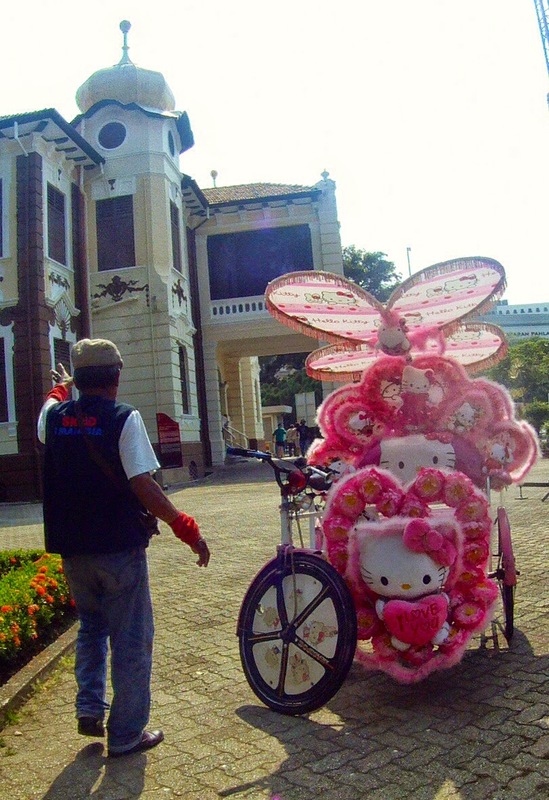 We grabbed some bicycles and visited with an old Japanese guy who was staying in our room. The guy is 86 years old and still intent to continue backpacking ever year. A true role model and legend but a crazy bugger on the roads. It turns out that when your in your 80's you revert to the same mindset as an eight year old. A mantra of RIDE OR DIE!!! ﻿your feet, even after a gut full of booze. 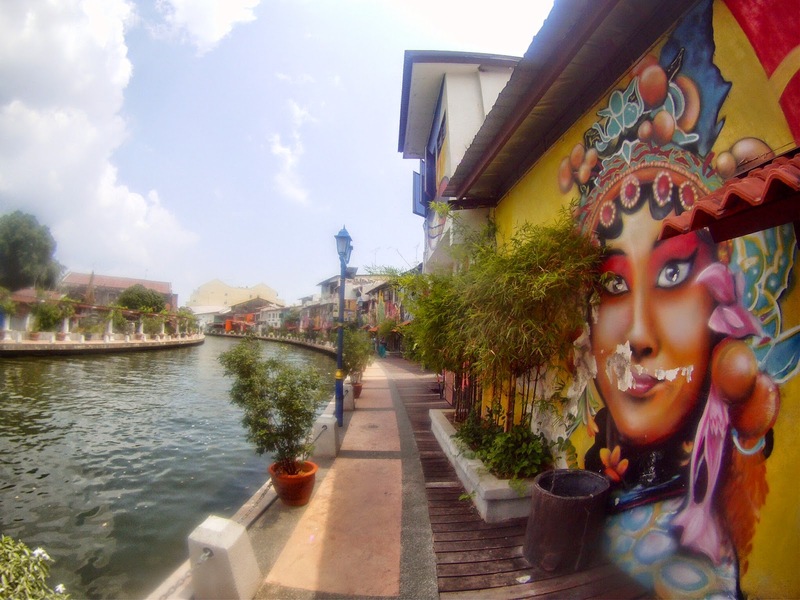 It was a nice week in Malacca but its time to say goodbye to Malaysia for good as we head to our penultimate country, Indonesia.